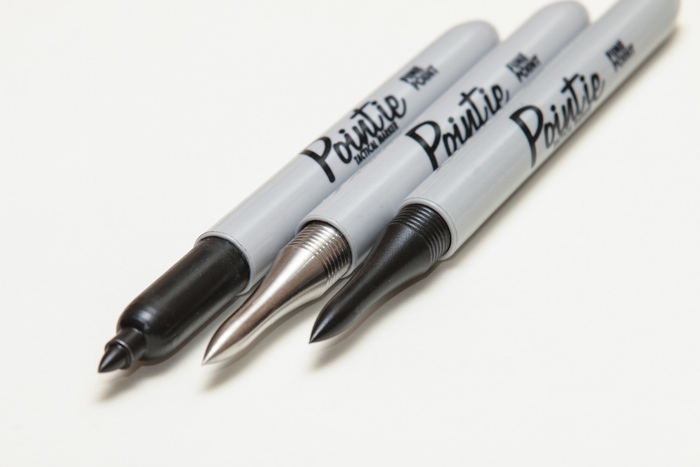 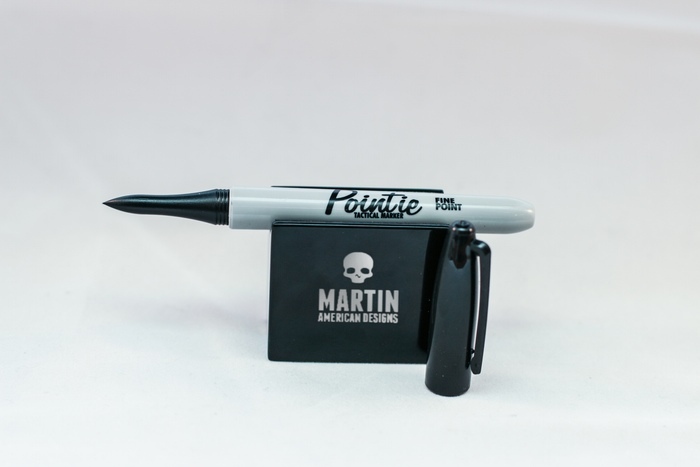 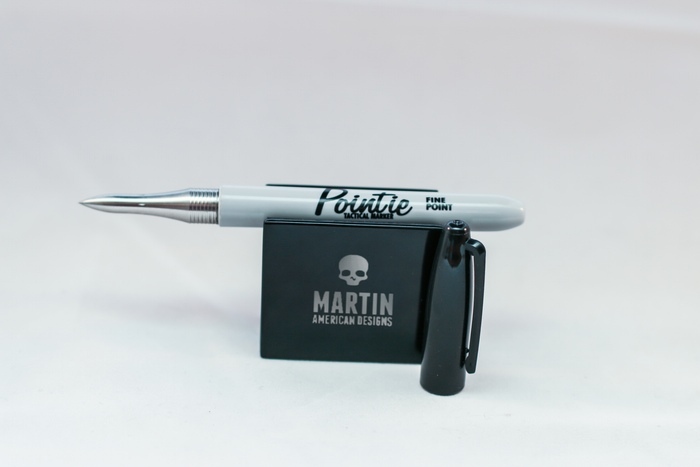 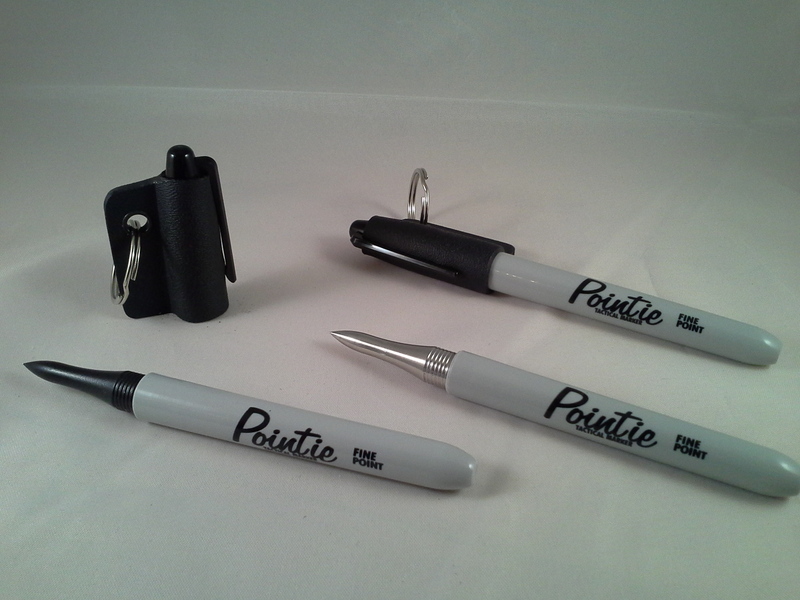 Pointie is a tactical marker in the shape of the ever popular Sharpie. 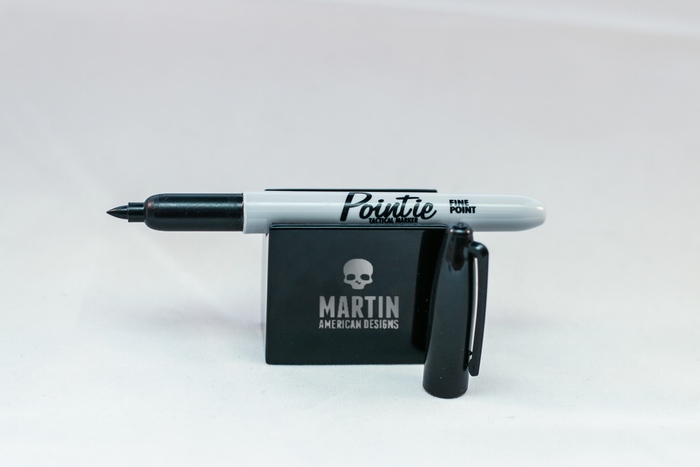 A Sharpie alone is an amazing tool of pain in the right hands. 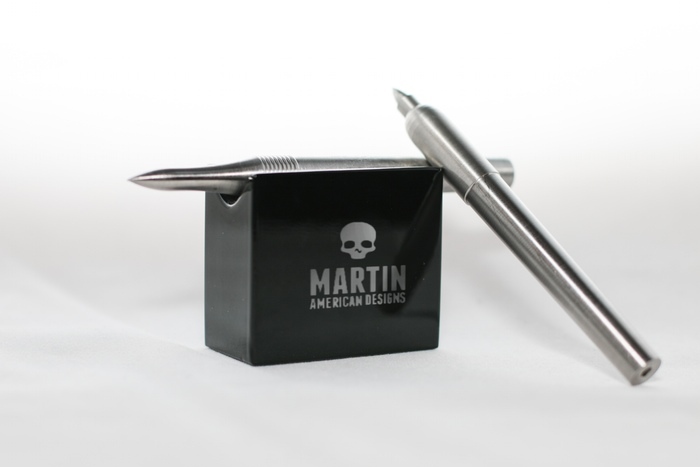 One with a stainless steel insert replacing the marker is even more disgustingly awesome.